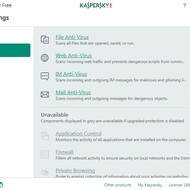 Kaspersky Antivirus Free is a comprehensive utility that allows you to detect malware, spyware, adware, and other malicious threats. 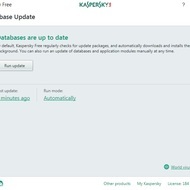 It is completely free and provides convenient scanning tools that will help you to secure your computer. 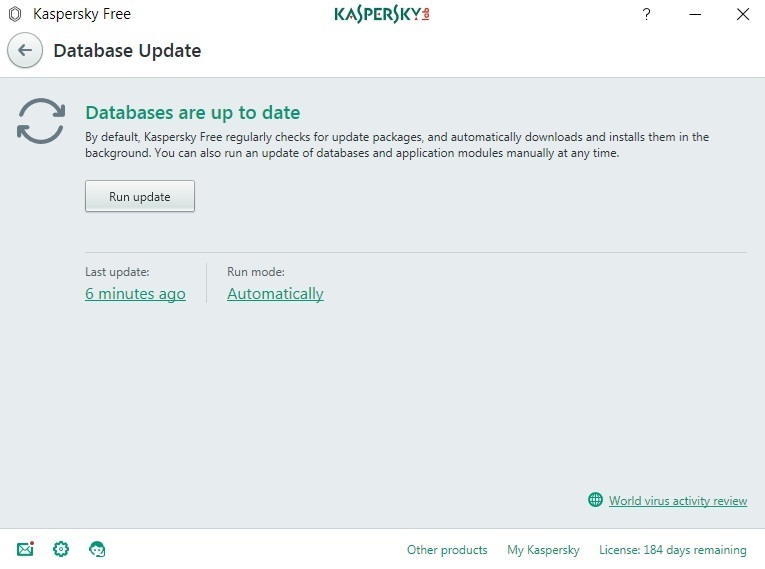 Also, it has the cloud system protection and regular signature updates. 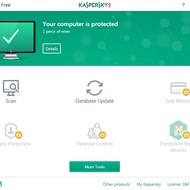 When you launch this protective application, you will face a clean screen that has the following options: Scan, Database Update, Safe Money, Privacy Protection, Parental Control, Protection for all devices. 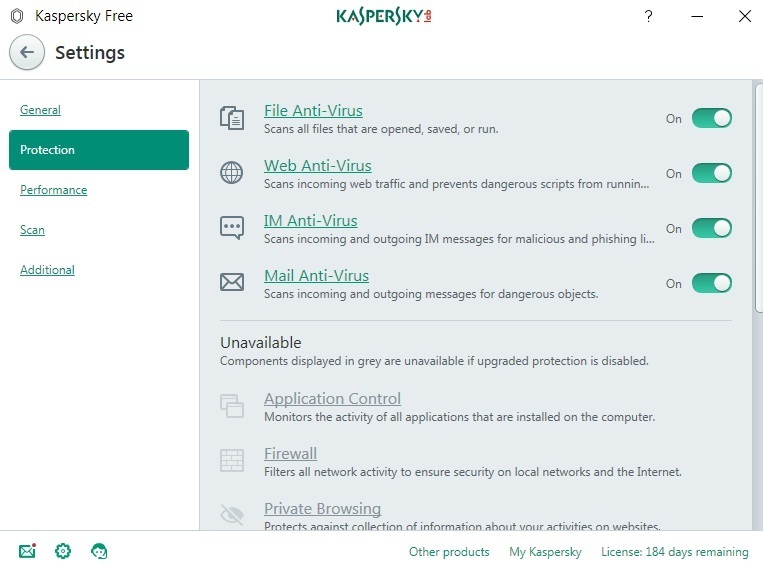 In the free version of the antivirus, you can use the only Scan without limitations. Other options are available during 184 days of a trial period. Besides, you can see the Settings menu which is on the right-bottom corner of the screen. 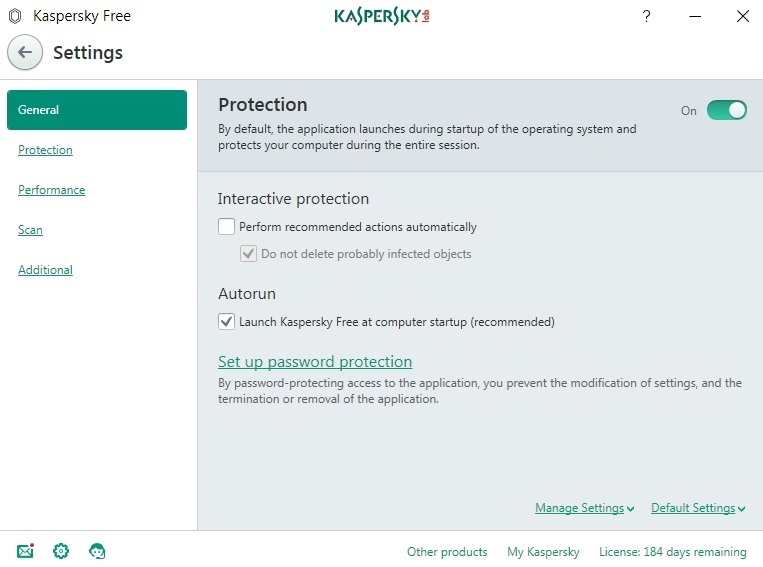 Click on the gear icon to enable or disable web/mail protection, Internet Messenger Antivirus system, and file scanning. Also, you can set up performance options, actions on threat detection, and security level that can be high, medium (recommended), or low. If you click on Scan button, you will be able to choose a type of scanning. There is full, quick, selective, and external device scan mode. 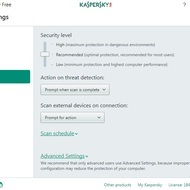 You should know that the antivirus provides access only to scan and online protection module. 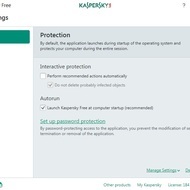 If you want extra features like the parental control system, banner blocker, advanced firewall, payment security, or instant tech support, you have to purchase the complete version of Kaspersky Antivirus. 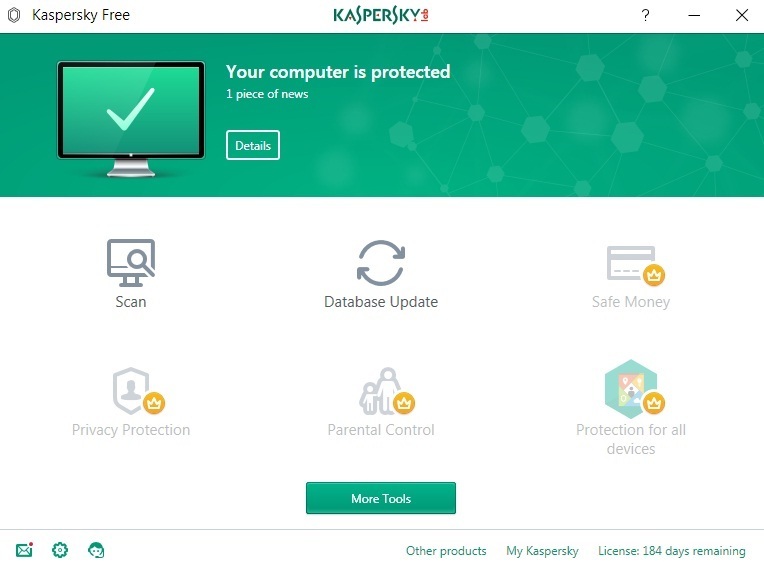 Kaspersky Antivirus Free is the fast and secure software that protects your personal information and blocks dangerous files, applications, and sites. 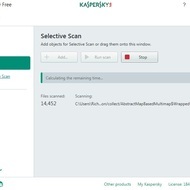 If you want to get an efficient antivirus that prevents system infection, detects phishing threats, helps you to keep your money in safe, and scan all of your emails instantly, then you should pay attention to this one. 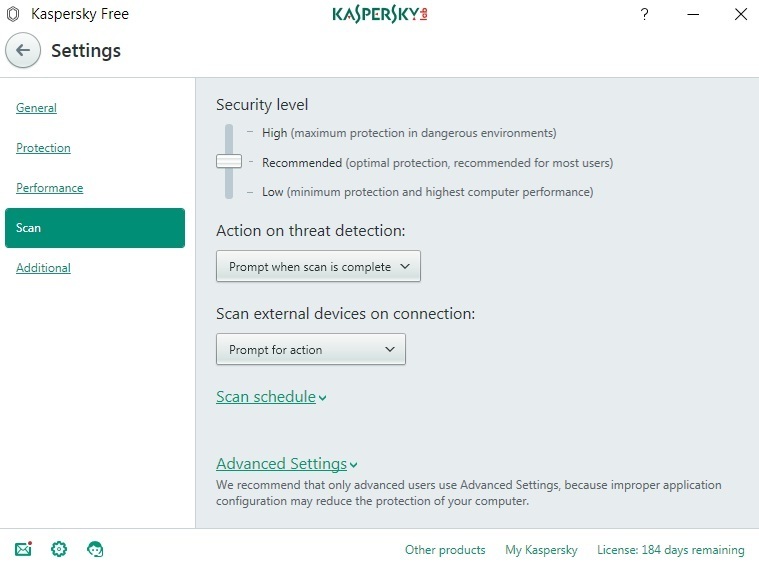 Some features are available only in the commercial version of the antivirus. 1 GB RAM (32-bit) / 2 GB RAM (64-bit). 920 MB of free space on hard disk.